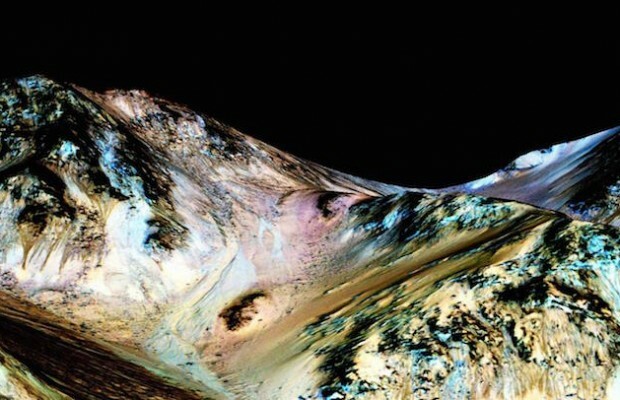 Australia will send a mission to Mars as soon as possible to check for irregular maritime vessels, following a report from NASA that there may be flowing water on the planet. Announcing the program, Immigration Minister Peter Dutton said it was important to send a clear message to would-be boat people. “Where there’s water there’s boats. And where there’s boats there’s votes. Or should I say, where there’s boats there’s a high chance of illegal people-smuggling activities and drownings. We need to stop this before it starts,” he said. Prime Minister Malcolm Turnbull echoed Mr Dutton’s concerns. “Look, the last thing we want to see is people drowning on Mars. We have to, we must, stop people getting on boats in Mars,” he said. The PM said the Government’s strong policies had meant there had been no deaths at sea to date on Mars. Mr Dutton said he hoped to have a Border Force team on Mars within 12 months. “What we are telling people is that if you get on a boat in Mars you won’t be settled in Australia”. Labor says it will support the $200 billion expedition. For breaking stories, follow The Shovel on Facebook & Twitter or sign up for email updates at www.theshovel.com.au. Perhaps we could send Dutton and Morrison in a rocket, not necessarily to Mars? Well, you know, it’d be easy to miscalculate where Mars would be when the next election comes around. Oops – sorry, missed ! Now… off to deep space. I think we need father O’Way on this case. Yes, straight to the heliopause, or somewhere further? Yes buggery should suit them.